Recently, the Wampanoag Indians have been in the headlines because of casino projects in Massachusetts. This has drummed up some interest in these First Peoples – who are they? How many are left and living in the state? Where do they live? Do they have their own towns or are they spread out? Since I was a child I was also interested in Anthropology and History, and Amerindians always fascinated me. They had a mystery about them that captivated my attention and interest. I devoured book after book, watched every documentary I could. This was an era before the information age, so I got most of my information from the local libraries and school teachers. With the advent of the information age, I had to no longer rely on the one sided versions written by Europeans and Americans in the history books, but could read about Amerindians by and from Amerindians – getting two sides of the “story” and bringing things more to the center. 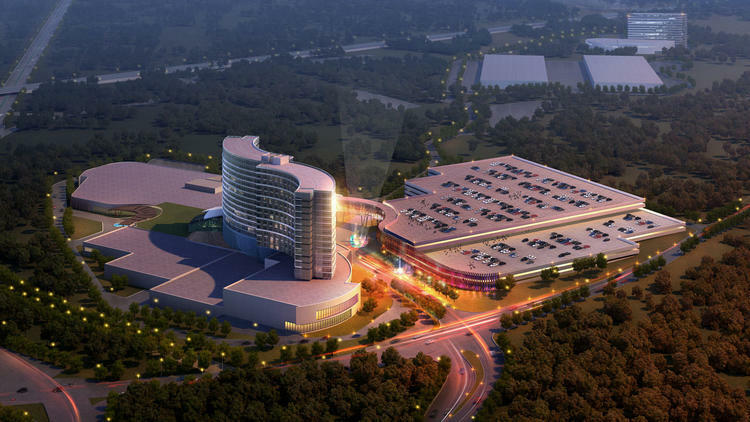 Currently the Mashpee Wampanoag Tribe –known as the “People of the First Light”– have been in talks with developers and investors about building a proposed gaming and entertainment venue on their tribal owned lands in Taunton. So, I thought it fitting to narrow down, what is a massive topic, to one specific tribe. 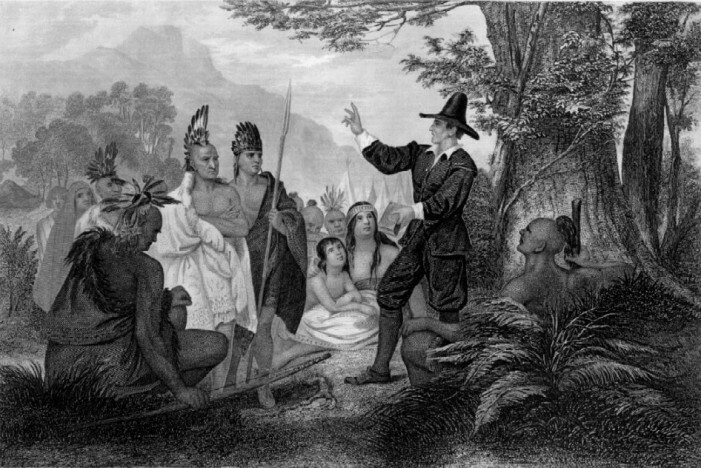 Many Wampanoag names are familiar to even those with a minimal knowledge of local history, Metacom[et] or King Phillip, Wamsutta, Squanto, Massasoit, the first man to be killed in the Revolutionary War, Crispus Attucks, are a few. 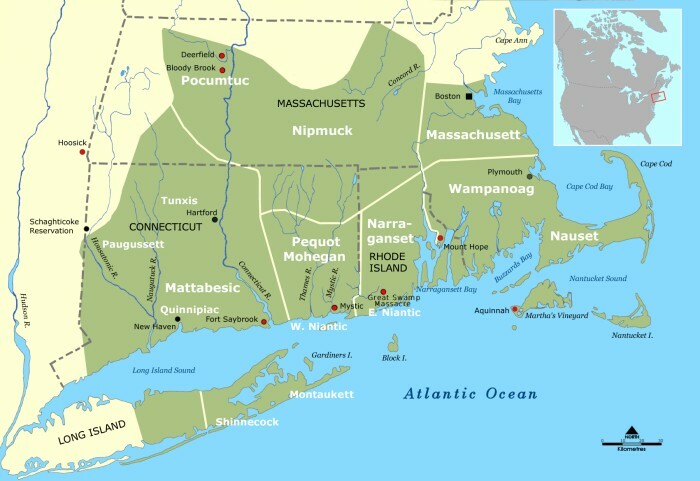 The Wampanoags, also called the Massasoit, were spread throughout southeastern Massachusetts and Rhode Island at the time of the arrival of the first Europeans in the 16th century and best estimates placed the Wampanoag Nation or Confederacy at 69 tribes consisting of approximately 65,000 people. Between skirmishes with settlers, actual war, Yellow Fever and other diseases, the Nation began to suffer tremendous losses. Sadly, by the early 17th century they were said to number about 6,000 strong, but by the advent of King Phillip’s War in the late 1670s, there were barely 400 remaining. Fortunately, they began to bounce back and by a 2010 census there were counted 2,756. Many live near the Watuppa Wampanoag Reservation in Aquinnah (Gay Head) on Martha’s Vineyard. While only the Aquinnah and Mashpee tribes are federally recognized, there are three “bands” that are recognized by the state: the Nemasket Band, the Pocassets, and an old praying town, the Herring Pond tribe. The Pocassets are formally recognized, but not federally. The Mashpees, were neutral throughout King Phillip’s war, so were spared the extreme losses from violence. Many were forced to settle into Praying Towns throughout Barnstable County with the Nauset tribes, or with the Sekkonets in Rhode Island. In 1660, colonists set aside 50 square miles in Mashpee, for the Wampanoags and that is how this particular tribe got its name. Within 5 years they were self-governing utilizing an English-style court of law and trials. In 1763, the British Crown still had a grip on the nation and if colonists were not happy with the way they were being treated, one can only imagine how the Amerindians were mistreated. Disregarding the presence of the Wampanoags and that the Mashpee area was a reservation, the British Crown went ahead and designated Mashpee as a plantation and one within the Mashpee District, and thus, subjects of the crown and laws. This placed them at the whim of colonial settlers who would subsequently encroach on the land set aside for the Wampanoags. This would have an adverse affect on their population in Mashpee – their numbers would dwindle as they would rather strike out on their own than live under such conditions – treated worse than second class citizens. Things wouldn’t improve when the Americans won the Revolutionary war and took over. Adding insult to injury, the new government decided to revoke the tribe’s self-governance and place a committee made up of five Europeans. The tribe’s peaceful protest was met with the threat of military action. By the 1830s the State Government had hoped that the Mashpee Wampanoag “problem” would go away through assimilation with the European locals. When that didn’t happen, or happen fast enough, over the course of the next decade, the state started taking the Mashpee’s land and parceling out 60 acres at a time to European farmers who were already gaming and fishing on the rich Indian lands, as well as harvesting trees. Settlers and farmers would continue to drain the reservation’s resources and encroach on the land where the Wamponoags lived. They would deforest, trap, hunt, and even plant on land that they didn’t own. Three decades later, the state would deal a major blow to the tribe by incorporating Mashpee as a town, in 1870. This took all control and governance away from the Mashpees. In spite of centuries of poor treatment and disrespect, many Wampanoags did remain and retained as much as their customs and ways of life as possible. 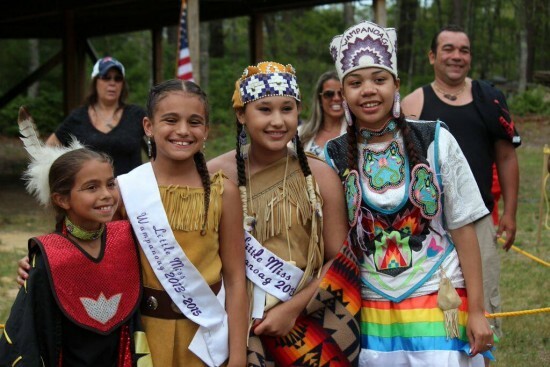 Since 1924 they have had an annual Powwow in July; a gathering where there is eating, dancing, singing, music, and socializing among tribe members defined by any person who has lineage, is actively involved in the community and lives within 20 miles of Mashpee. In 1972, the tribe would establish a Council and designate Russell “Fast Turtle” Peters as its first president. This council was the first step in legitimizing the tribe in the eyes of the U.S. Government and begin the process of being federally recognized and begin to lay claim to the land that had been theirs for centuries. In 1974, the Council would stand before the Bureau of Indian Affairs and apply to have the claim approved and the tribe recognized. They were denied, yet again. Showing their characteristic tenacity, doggedness, and patience they stuck together and continued to fight. Later that same year they decided to take serious action and tried to sue the town of Mashpee. As would be expected, all claims by the Mashpee were denied by the state and they lost the case. They would then spend the next 30 years, never giving up and fighting for what they felt was rightfully theirs. The persistence paid off and the tribe was officially recognized by the federal government in 2007 while under the direction of chairman and controversial figure, Glenn Marshall. When Marshall was arrested for a variety of crimes, he was replaced by council vice-chair Shawn Hendricks – a man who actively pursued gaming-related interests. In 2009, the tribe elected Cedric Cromwell to be council chair and president who continued to push the tribe into a gaming related direction. He is the Gaming Authority President today. Originally the tribe wished to build a casino on land that they had purchased in Middleborough, but for reasons I couldn’t uncover, they moved their plans to Taunton in spite of the fact that the Pocasset Wampanoags challenged their territorial rights there. Financing for the casino comes from the Malaysian Genting Group and support came and comes from such high profile figures like Senator John Kerry, past Governor Deval Patrick, and former Congressman Bill Delahunt. In 2011, a law was passed by the Massachusetts legislature which allowed for three gaming resort sites within the state and one more location for a slots-based site. It would be redundant to cover what happened here in New Bedford as a proposed site, since it was so recent in memory. On Tuesday, April 3rd, ground was broken on the 151 acre industrial park in Taunton and the $1 billion dollar Las Vegas style casino, hotel, entertainment complex, came one step closer to becoming a reality. The First Light Resort & Casino is expected to open its doors in phases, with the first phase expected some time in 2017. This phase will encompass 150,000 sq.ft. 3,000 slots, 150 table games, and 40 poker tables. A food court containing 7-10 restaurants, including an international buffet, and a central bar will also be included along with just shy of a dozen retail outlets. A parking garage with approximately 3,000 spots and a lot with 2,000 spots will support this phase. The 12 story 300 room, high-end hotel, more restaurants and gaming, spa, pool, roof terrace, and event rooms are planned for Phase 2 which is expected to take 2-2 1/2 years to complete. A more modest 300 room hotel and massive 24 hour cafe restaurant will complete Phase 3, taking 3-5 years. The final phase will include a 24,000 seat event arena, 25,000 sq.f.t indoor/outdoor water park with a 300 room hotel and more parking and expected to take at least 5 years. The entire project is expected to create almost 1,000 well paying, union jobs for the state generating approximately $80 million dollars in salaries and $120 million in economic impact. Once up and running it will continue to generate tax revenue for the town and state, create jobs, and stimulate the region. Ironic considering how much has been taken from the Wampanoag Indian’ through the centuries.